ModernLifeBlogs Health What Should I Expect at My First Acupuncture Visit? What Should I Expect at My First Acupuncture Visit? 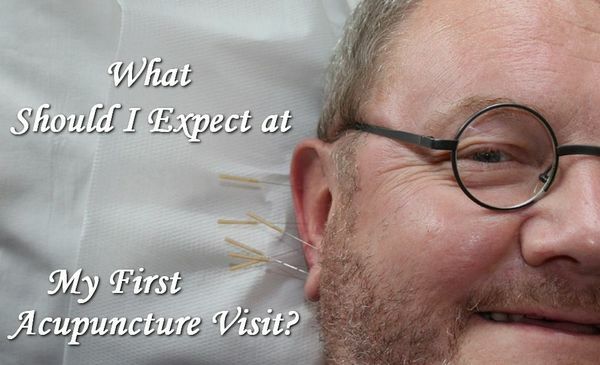 Editorial Team · @ModernLifeBlogs · Jan 24th, 2019 · Comments Off on What Should I Expect at My First Acupuncture Visit? Acupuncture has consistently grown in popularity. With the World Health Organization endorsing its use for more than 200 symptoms and diseases, acupuncture is certainly an asset to the medical community. If you are among the millions of Americans that are considering this form of treatment, you may have some worries about what your first visit will be like, how effective the treatment is and how to find the best acupuncturist for your specific ailment. These are all normal questions for someone new to acupuncture. From Los Angeles to Miami, acupuncture has gained notoriety across the nation. The more that you learn about this 2,000 year old practice, the better prepared you will be for your first experience. Your first visit will be about and hour and a half due to paperwork and the need to build a rapport with your practitioner. After you have completed the paperwork you practitioner will review your medical history with you and learn more about the specific reasons that you are seeking medical attention. Your practitioner will then examine your tongue and pulse in both wrist. This examination in addition to your expresses needs will help your acupuncturist to come to a diagnosis. Once the diagnosis is reached, you will be offered a gown and instructed to change. Afterwards, your practitioner will locate various meridians on your body and suabe them with alcohol pads. They will then begin inserting thin needles into these points. You can expect to have them in you for 25 to 35 minutes. Once they have been taken out, your practitioner may recommend additional herbal supplements to compliment your treatment and complete the healing process. Depending on your specific treatment plan, you may be scheduled to come back a few times a month until the treatment is completed. Acupuncture is unique, it uses needles and meridians to help the body to activate its own self-healing process. The tools associated with acupuncture have been approved by the FDA since 1996. It is well known for its ability to heal chronic pain in your back and shoulders as well as alleviate pain associated with osteoarthritis and headaches. In addition, acupuncture is widely used as a companion treatment for those with cancer that are undergoing chemotherapy and/or recovering from surgical procedures. Acupuncture also helps to relieve stress and anxiety. According to Michael Forman, DOM, who owns an acupuncture practice in Miami, many of his patients are able to get off of many and in some cases all of their medications after their acupuncture treatments. This form of traditional chinese medicine is focused on clearing any blockages of energy within the body. This help to return balance to your health and energy. While it as once considered pseudo medicine, it has now been widely recognized as effective and in some cases necessary. While this is certainly a private decision, the evidence for acupuncture is overwhelming positive. It is not some type of miracle treatment, but it is effective and cost efficient. Individuals that are dealing with chronic pain it is especially helpful. There are very few side effects of acupuncture and each treatment is tailor made for your specific body and ailments. Join the more that 14 million Americans that have give acupuncture a try and learn for yourself.